Ministry says with entertainment tax, advertisement tax and other such taxes subsumed into GST, some municipalities struggling to generate income. New Delhi: The Union Housing and Urban Affairs Ministry has sought a four-times increase in grants from the 15th Finance Commission on the grounds that states and urban local bodies (ULBs) have suffered revenue losses due to the implementation of the Goods and Service Tax (GST). Senior government officials familiar with the matter told ThePrint that in its memorandum to the 15th Finance Commission, the urban affairs ministry has called for the share of central allocation that is to be given to states and ULBs to be increased to Rs 3.48 lakh crore, for the period between 2020 and 2025, as against the Rs 87,144 crore awarded by the 14th Finance Commission. The ministry has argued that the implementation of GST has hit the revenue of states, and, in turn, would make it difficult for them to pass on grants to ULBs. 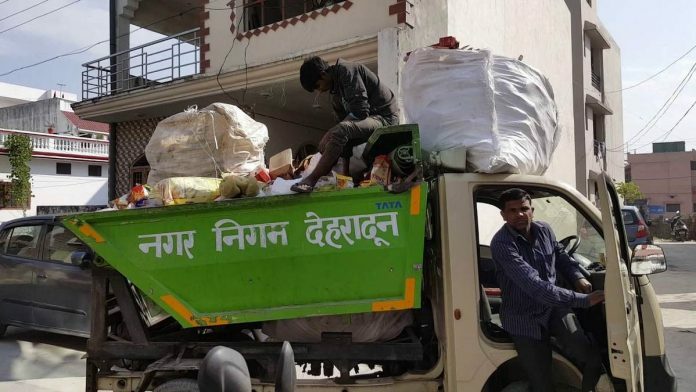 Lesser funds at a municipality’s disposal will have an adverse impact on their spending on basic civic services and infrastructure in urban areas, the memorandum reads. Finance commissions are formed every five years to recommend how the net tax proceeds are to be shared between the Centre and the states and also between states and ULBs. The 15th Finance Commission, headed by former Rajya Sabha MP N.K. Singh, was set up in November 2017 and its recommendations will come into force from 1 April, 2020. In its memorandum to the commission, the Ministry of Housing and Urban Affairs — mandated to frame policies for the improvement of urban infrastructure and amenities across Indian cities — has highlighted that states have reported overall low revenue collection due to GST. Making a case for higher allocation to ULBs, the ministry has further said that some municipal bodies have faced low revenue collection in respect to entertainment tax, advertisement tax after these taxes were subsumed into GST and were put under a lower slab. Besides, the ministry has also launched a number of urban upgradation schemes since 2014 such as the Smart Cities Mission, Swachh Bharat Mission and Atal Mission for Rejuvenation and Urban Transformation. Funds will be required to continue these schemes beyond their mission period of 2019-22. “We have estimated that the fund requirement between 2020 and 2025 will be to the tune of Rs 7.5 lakh crore,” said a senior ministry official who did not want to be named. Experts too say that municipal revenues are falling. The ministry has also mentioned in its memorandum the results of a review of the finances of municipalities in 13 states it had conducted last year. The review found that the municipalities are able to meet only 64 per cent to 67 per cent of their revenue expenditure from their own incomes. For the rest, they are dependent on state and central grants and do not have enough funds for capital works and other expenses. The 13 states surveyed are Andhra Pradesh, Assam, Chhattisgarh, Goa, Gujarat, Haryana, Karnataka, Madhya Pradesh, Punjab, Rajasthan, Tripura, Uttarakhand and West Bengal. Citizen advocacy groups, however, suggest that the figure could be even lower. A 23-city survey done by the Bengaluru-based advocacy group Janaagraha Centre for Citizenship and Democracy in 2017 found that that on an average, Indian cities were generating just 39 per cent of the funds they spend. Patna, for instance, managed to raise just 17 per cent on its own while bigger cities such as Mumbai, Delhi, Hyderabad and Pune generated over 50 per cent of the funds they spend from their own revenue. On a scale of 10, 12 out of 23 cities had scored below four — indicating the precarious situation of our cities — the report found.